When it comes to concert photography you need a camera that has excellent high ISO output. Concert venues (despite all of the stage lights) are incredibly dark places, so you will need to crank up the ISO to be able to maintain an adequate shutter speed. How Close Should You Be to a Portrait Subject When Shooting With a 35mm Lens? Many photographers swear by their 35mm lenses and almost never want to shoot with anything else. The reason for this is because it so closely simulates what the human eye sees and so it's easy for a photographer to go out there and shoot a scene just the way that they see it. If you have been the market for a new Sony Mirrorless camera, or some new Sony glass, you are going to love these amazing camera deals. Right now you can grab the Sony a6000 with a 16-50mm, and two 64GB SD cards for just $498! The Full Frame Sony A7 II with accessory bundle is only $898, and the A7 II with the 28-70mm lens with accessory bundle is only $998! Has the Sony a9 been fluttering it's shutter at you? If it has you can get it with a Rode mic bundle now for $3,498! Need to see in the dark? The Sony A7s II with accessory bundle is just $1,998. In the not too distant past, cameras that were priced under $1,000 were often laughed at by photographers the world over. Cheap usually meant poor build quality, less than stellar image quality, and bare bones features, but my times have changed. Photography has changed, but amazingly not all that much in the terms of lenses vs cameras. And the reason why I'm coming to this is because of a number of discussions that happened over the holiday season as they pertain to cameras being crap or great. If you are one of the lucky people who have acquired a Panasonic S1 or its bigger brother, the Panasonic S1R we have some good news for you. No longer will you be bound to Adobe Lightroom and Photoshop for your editing needs. Just a few short years back there was a major shift in the camera marketplace. DSLR's were being replaced at a rapid pace as Mirrorless technology was becoming cheaper and easier manufacture, but it wasn't Canon who were leading the charge. This is a specific message to almost the entire industry with the exception being Panasonic: whose menu systems are designed to be pretty darned simple overall. But for such innovative companies, I'm shocked that Sony, Fujifilm, Olympus and Nikon don't have better menus. It seems the race to launch a 100-megapixel full-frame sensor is on. Sony has reportedly developed a new 35mm full-frame CMOS sensor that shoots 100-megapixel photos and 6K videos, and it’s designed for consumer cameras. If you have been thinking about buying some new lighting gear, or perhaps a new camera, these photography deals are for you! We have found some great deals on Sony camera bundles like the A6400 bundle with a memory card, case, filter kit, and an extra battery for just $898! There's another similar a6400 kit that comes bundled with a 16-50mm lens too and it is only $998! Need some new lighting? Act fast because the Godox Deals are good for just 48 hours! The Godox AD200 is down to just $269! There are also AD200 bundles that come with the wireless transmitter for each platform for only $310. There has been a long standing myth around APS-C cameras and portrait photography. Many will have you believe that in order to be considered a pro, or for you to be taken seriously as a portrait photographer you need to own a Full Frame camera, however this simply isn't true. Whether you practice wedding photography, portrait, street, landscape, sport, wildlife photography, or photo journalism, we have found lenses with huge savings for you. These lens deals are red hot and they won't be around for long. There are times when camera reviews initially don't like things--and for me the Fujifilm XH1 was just that camera. The ergonomics on the Fujifilm XH1 I will stand to say aren't that fantastic vs the very good X Pro 2 and XT series of cameras. Yes, we know. DXOMark rankings are not the be all and end all when it comes to camera performance. There are so many things to take into consideration when it comes to how well a camera performs. From ergonomics, to lens choices, and ease of use, to hundreds of features that can set cameras apart from each other. In continuing with our search for really affordable lenses and cameras right around tax time here in the US, we've found a number of great 50mm lenses for you all to choose from. We're trying to ensure that you don't break the bank at all; and because we're catering this to full frame shooters, you're going to find a 50mm lens with glorious bokeh that you're seriously going to love. Just because Uncle Sam took a chunk out of your wallet doesn’t mean that you can’t get a sweet new camera or lens. We’d like to call this a recession special of sorts, but it really isn’t at all. If you want to capture images of the world around you, and you want your images to reflect the true beauty of nature and everything that it has to offer, you're going to need to look into high resolution cameras. Looking for some superb camera deals, huge discounts on lenses, and sales on accessories and more? If so, you're in the right place. There are great camera deals like the Panasonic G85 with a 12-60mm lens for just $697. Heads up, Sony photographers! Aside from the newly launched 135mm F1.8 G Master FE Lens, Sony has also announced a bunch of new Circular Polarizing Filters. You might want to check them out if you're a frequent user of filters to maximize the potential and quality of your shots. "It started has a hobby that soon developed into conceptualised way of approaching new things. " explains photographer Jorge Serra in an email to us before we interviewed him. "I started with film cameras, disposable and what was around. 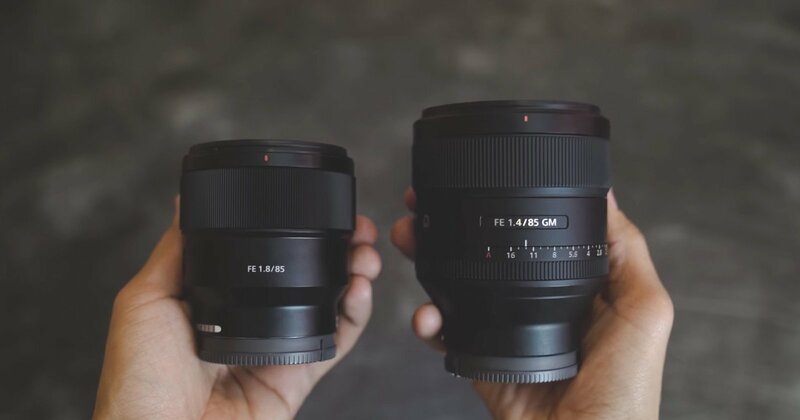 Just in time for WPPI 2019, Sigma is announcing a conversion of a number of their lenses. In the same fashion that they did for the Sony E mount, Sigma is retooling and rehousing a number of their lenses for L mount. Here's the good news: we've tested loads and loads of lenses for Sony E mount; and you can see some in our database right here. And then there's better news: we've scoured through our reviews index to pick and choose some of the best lenses for the money if you're looking for entry level lenses and budget lenses. The kit lenses that come bundled with your camera give you good flexibility as they generally cover a large range of focal lengths, the down side to them is that the image quality from them is not always the best. What is an everyday photographer you might be asking? Simply put it's someone who likes to capture the world around them on a daily basis. Perhaps a mom who likes to document their time spent with her children who are growing up before her eyes. Alas, we aren't being treated to Canon's high end EOS R camera, but with the Canon EOS RP we're getting a pretty interesting candidate in the mix. The Canon EOS RP is being aggressively priced at $1,299 and has the same sensor at the heart of the Canon 6D Mk II. Are you looking for a new mate, I mean camera body this Valentines day? Perhaps you want to give one as a gift. If so you should check out the beautiful camera deals we have found for you. You'll fall head over heals in love with the Canon T6i which comes with a lens. Senior portrait season is in full swing in the USA. Senior portraits (for those unfamiliar with them) are portraits of students who will be graduating from high school. This is a time honored tradition in the United States, and it really is an important milestone for students. We all love getting new gear, but are we always getting the most out of it? In this edition of Cheap Photo we have found deals on guides and tutorials that will help you elevate your photography game, we've also found deals on great cameras too that you can use to put your new skills to the test. Have you heard of onion bokeh? If you've been speaking to those within the more tech oriented side of the industry in the past few months, you'll have heard a whole lot about this. It's the new thing that photographers and engineers have been perfectly okay with for years and years but now suddenly aren't--and in all candidness, I think that it's one of the dumbest things that I've heard in years. If you're in the market for a DSLR or Mirrorless camera stay tuned because we've found more crazy camera deals for you. A Nikon D810 for just $1,629. 95, and a Canon 5D Mk iV for $2,159! Those are hot deals! You can also pick up a Canon EOS R for $1,939, a Sony A7 III for $1,829. Full Frame cameras can be quite expensive to purchase, and that's one of the main reasons why a lot of first time buyers opt to go with a DSLR or Mirrorless camera that has an APS-C sensor. There's absolutely nothing wrong with that at all as there are some fine APS-C cameras on the market, but there are some Full Frame gems out there that cost right around $1,000 that will beat most APS-C offerings when it comes to overall image quality, and low light performance. We all love saving money, and there's nothing better than saving money on the things we want the most. If you're looking for a new camera, some new glass, accessories or guides and software, you've come to the right place. Whether you're looking for new a new camera, some accessories, or tutorials, guides, and software, we've got you covered. We've been searching the web for the best photography deals and we've put all of the best ones together for you here. If you were lucky enough to get your hands on a new camera over the holiday period, congratulations. Chances are your new camera came with some kit lenses. While kit lenses are much better today than they were in the past, your still going to want to upgrade to better lenses as soon as you can. We've found some great photography deals for you in this edition of Cheao Photo. The Canon EOS R can be picked up for $1,999, the Panasonic G7 which comes with a 14-42mm lens, and is capable of recording in 4k is a steal at just $497. Focus peaking is one of the absolute best things that happened to mirrorless cameras. It helped spur on and add to the idea that photographers could pick up all these cool, small, vintage lenses and get accurate focusing with them easily. The more I look at the capabilities of smartphones and the more that I step into meetings with bigger photography technology companies, the more I start to wonder what traditional camera manufacturers think about staying ahead of the curve. There are still some fantastic photography deals to be had as we head into the new year. If you have been thinking about buying a new camera, some new glass, or perhaps some new presets, actions and overlays to help speed up processing, these deals are for you. Did Canon Miss the Memo That Says Mirrorless Lenses Are Meant to Be Smaller? When Canon introduced their new Mirrorless cameras earlier on this year (The EOS R) one of the stand out features was that the lens mount was so huge. While other manufacturers like Sony have made all things Mirrorless smaller, the late comer to the Mirrorless party seems to have decided that bigger is better. It really is the last chance saloon on some truly amazing photography deals. As the holiday season draws ever closer, the amount of time you have to act on really low prices is running out. Looking for a new camera? You can pick up an Olympus OM-D EM 10 Mk III with a lens for just $599, saving you over $200. Have you been using your cell phone as your main camera? Are you thinking about buying yourself, or perhaps someone else their first real camera? Contrary to popular belief, you don't have to spend a lot of money in order to really break out into the world of photography. 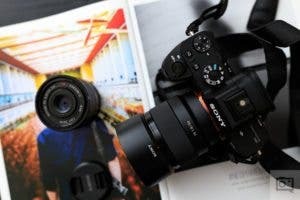 There have been posts and videos online debating whether or not a user should go out and get a Sony a7 III, a Canon EOS R or a Nikon z6. My honest answer: Don't get any of them. Sony has better products on the higher end, much better! Canon has yet to create a higher end camera. Обе компании представят свои продукты перед началом CES 2019. И Sony, и Panasonic запланировали проведение пресс-конференций на 7 января, перед началом CES 2019 (8-12 января) в Лас-Вегасе. По слухам, Sony начнет анонсировать продукты, позволяющие снимать видео в формате 8К. When major pricing mistakes are made by online retailers, purchasers usually receive order cancellation notices and apology emails shortly afterward, informing them that the absurdly low price was due to a glitch. Father's Day is coming up and if you are looking to get your hands on the next addition to your father's photography kit then you are in luck because several companies including Nikon, Sony and Fujifilm have just launched new savings on some of their most popular gear. Cheap Photo: Rokinon Blowout Sale! Rokinon has developed a reputation for great image quality and even better prices. Today we are excited to share these incredible blowout deals on some of Rokinon's most popular lenses, which were already great deals in their own right. Cheap Photo: Panasonic, Sony and Fujifilm Savings For All! Not to be outdone by Sony and Fujifilm, Panasonic has some deals going on right now as well on some of their excellent micro four thirds cameras and lenses. If you have been thinking about jumping into the Panasonic system, then maybe now is a good time. Photography is for sure one of the most popular niches of photography, with many people getting into photography specifically to learn how to shoot better portraits. This not only makes portrait photography a popular starting point for beginners but also a popular target for lens manufacturers when designing lenses. What’s better for portraits? Is it the versatility of a great 70-200mm f/2. 8 zoom lens, or the bright bokeh-tastic performance of a solid 85mm f/1. 4 lens? That’s what photographer Manny Ortiz set out to discover this week. It's not quite peak gift shopping time yet, but the deals are coming, fast an furious. Some are limited time, so make sure to check them out and check back often for the latest deals so you don't miss out on the deal of the season. One of the most popular lens focal lengths out there is the 50mm--but they're sometimes worthless if they can't focus quickly. Whether you're a professional or hobbyist photographer, there isn't a reason why you wouldn't want to have a fast focusing 50. Incredible Deal: The Sony FE 50mm F1.8 for $198! Sony's FE 5omm F/1.8 is not only one of the best deals in the FE lineup right now, it is also a killer lens in terms of image quality. 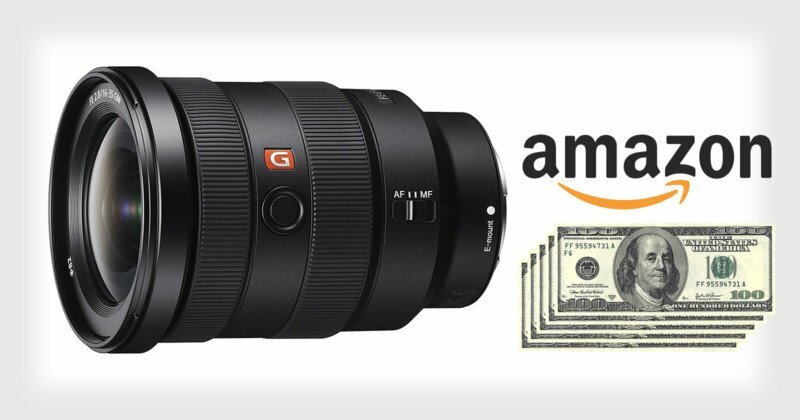 Amazon has an insane deal on this lens right now bringing the price tag under $200, down from the already great normal price of $250. Sony today announced its new Sony FE 50mm f/2. 8 Macro full frame lens. It’s a light and compact prime lens that provides versatility. For ordinary photography, the lens features a large f/2. The digital revolution—and a revolution it was—enabled photographers to immediately start saving money after new equipment purchases. Sure, the quality sucked initially (and convenience was overstated) but after a few years, the whole thing really started to work properly, for the most part. DJI’s Ronin-S gimbal stabilizer is marketed as being compatible with mirrorless cameras, but there’s a catch: if you use a Sony camera, you’ll need to buy an extra cable for full compatibility. When it comes to architecture and interior photography, it’s generally best practice to shoot using a tripod. There are several obvious reasons why, mostly due to being able to shoot effectively with slower shutter speeds and to compose your images more precisely. Sony has unveiled a new three-year plan for its business segments under new CEO Kenichiro Yoshida, and it’s clear that one of the company’s primary goals is to dominate digital photography. Canon is now officially in the business of selling sensors. Third-party companies can now purchase three of Canon’s state-of-the-art sensors, including the 120-megapixel monster that has received a significant amount of attention in recent years. Phase One has announced the iXM 100MP, a 100-megapixel medium format camera for drones that’s the first camera to feature Sony’s 100MP backside-illuminated (BSI) 44x33mm sensor. It’s “a breakthrough aerial camera platform driven by the world’s fastest medium-format imaging sensor,” Phase One says. The Panasonic LX100 is one of our favorite semi-pocketable compact cameras. This class of high end compacts offer great image quality and build quality, while also being incredibly compact and portable, making them great travel and family cameras for when the full DSLR/Mirrorless kit is just overkill.